Hello lovelies, today I'm sharing with you a mini review of the new episode that will be on your screens at 4.20pm this evening on CBeebies. Me and Oscar have been with Kazoops from their starting journey and both been big fans of it since. We were very lucky to watch the show before it aired on TV and got sent a link to watch the new episode before it airs tonight. 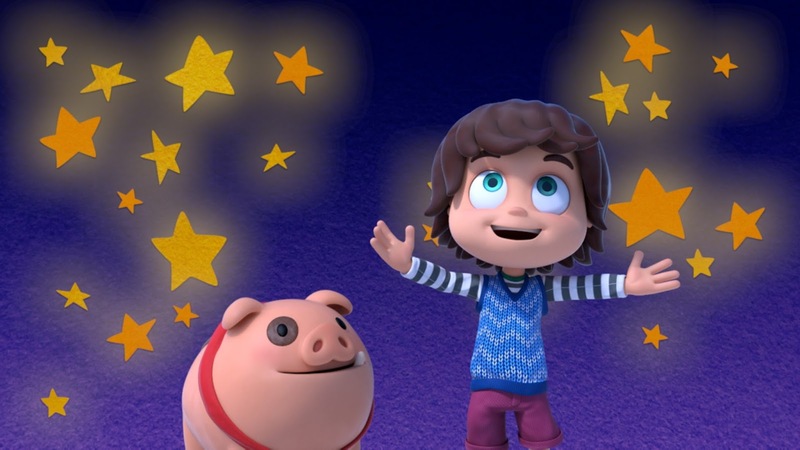 Monty Kazoops is a little boy with a vivid imagination who has a loyal pet pig called Jimmy Jones, the show is back with brand new animated adventures, they will be on daily starting from this evening. 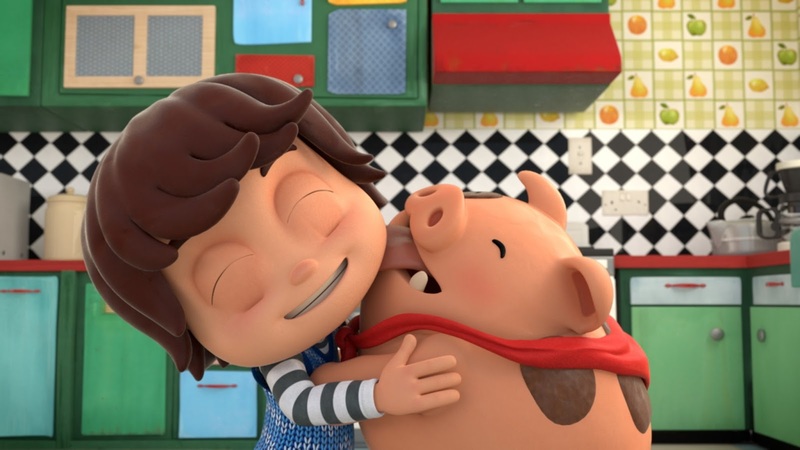 Monty is a spirited boy who in each episode confronts a preconception about the grown up world and sets out to challenge it with his best friend Jimmy Jones, they both embark on a wild imaginary adventure that offers them a fresh perspective. This is what I love so much about the show as my 4 year old Oscar has a wild imagination, I love seeing him get engrossed in the programme and wondering what he's thinking whilst he's watching it, tonights show is all about trying to get a piano into the house, it's proving difficult so Monty daydreams and imagines fun ways how to get it in so then I ask Oscar if he had to imagine how to get a piano into our house what would he do? Which is a great talking point after every Kazoops episode. 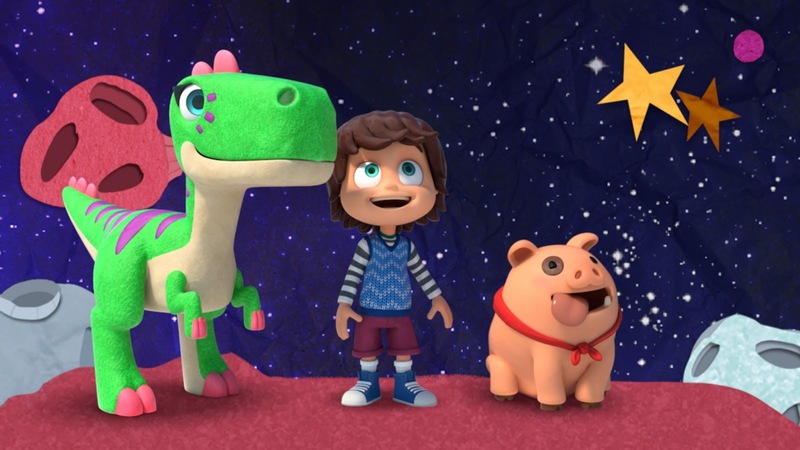 Oscar loves the songs and how the animation almost looks real life, Jimmy Jones is his favourite and now wants a pet pig, I think they put in so much effort with the new songs for every episode and its so colourful and nothing like the kids tv programmes you see on the TV. CBeebies has always been my favourite channel for the children as its very educational and offers a wide range of viewing for all ages, Kazoops is aimed at 4-9 year olds, my four year old is a big fan I guess its because he has a wild imagination like Monty Kazoops! If your child loves Kazoops or hasn't seen it yet make sure you tune in on CBeebies this evening at 4.20pm to not miss out on the adventures with Monty and Jimmy, I bet you they will love it.